Create a colorful and easy Fall leaf garland with your tot that will have everyone loving the season. 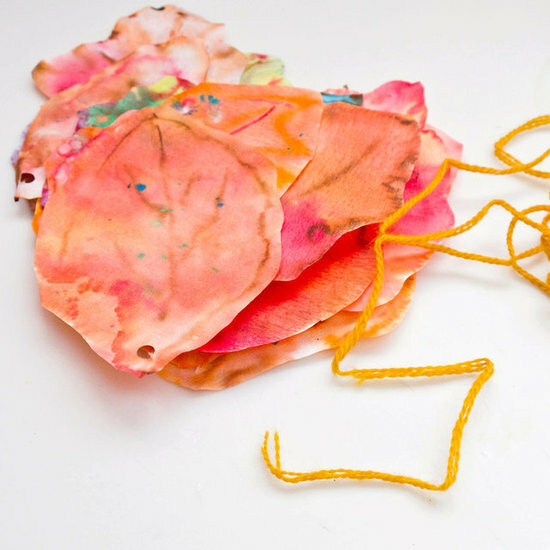 This craft is wonderfully simple, making it a perfect project for little ones. Using coffee filters instead of plain paper creates really vibrant leaves that will spruce up any room. Stringing the leaves to create the garland encourages your tot's budding fine motor development, and offering your child marker-drawn leaves introduces staying within the lines while painting. 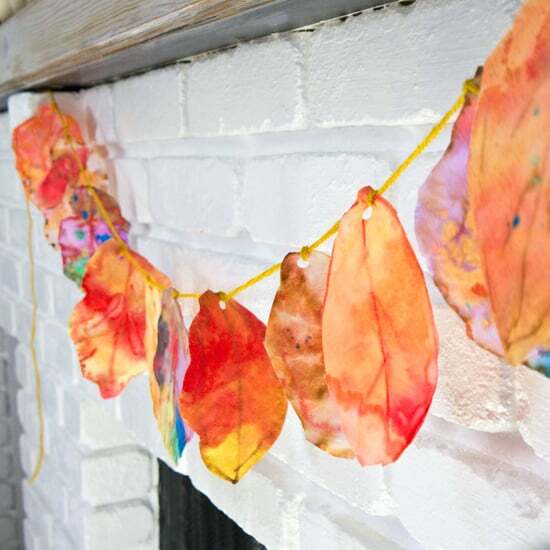 The result is a really beautiful Fall leaf garland the whole family will love. Keep reading for the simple directions. 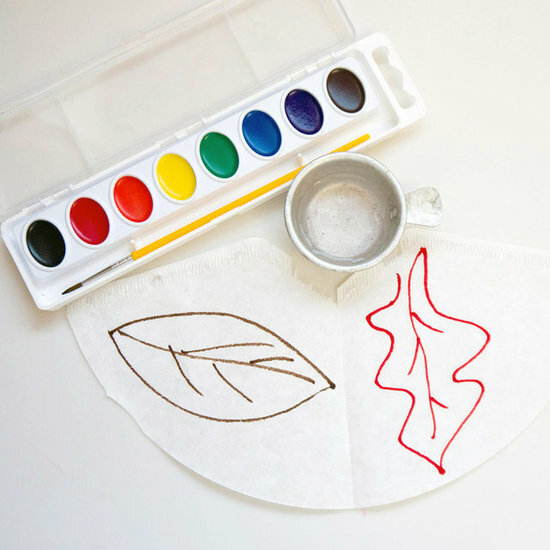 Help your child by drawing a leaf shape on a coffee filter. If your tot is old enough to do this step on his own, offer him a marker to create the outline of a Fall leaf. Now offer your child red, yellow, and orange watercolor paints and small paintbrush to use for painting within the lines. The watercolor paints will mix and blend with the markers to create really colorful leaves. If your child wants to add a few other colors to the leaves, allow him to use his creativity while painting. Continue painting coffee filter leaves until your child has created a big stack — around 10 to 12 painted leaves creates a really nice garland. Once the filters are dry, cut out the leaves by following the outlines and then use the hole punch to pop a hole at one end for lacing. Offer your child a length of string and use for lacing the leaves. To secure them in place, tie a knot after each leaf and continue stringing. Find the perfect spot for displaying your finished coffee filter Fall leaf garland.